As I worked and relaxed around the house this weekend, I kept coming across our little piles of chaos. I hope you know what I'm talking about, and that our family is not alone in our little chaotic piles. It's the kitchen "junk drawer" that everyone has. If you don't have one, I'm not going to say you're abnormal, but I will say that I can't be your friend. (Just kidding. No, I'm not, really.) These drawers are typically a clinking, clanking collection of caligenous junk, to use the line from the Wizard of Oz. Small stuff with no other place to call home usually lands here. We had one growing up that held anything from a hammer to a popped button from a shirt that would never find its home again. Ours contains everything from Super Glue to an eyeglass screwdriver, to unframed class pictures from last year that never found that relative they were intended to get to. I would go as far as to say that these drawers are essential to a properly functioning household. Where do we go if we need a needle and thread in a hurry? The Junk Drawer. Where do you get a rubber band for the bag of whatever you have? The Junk Drawer. Ruler? Sympathy Card? Battery? 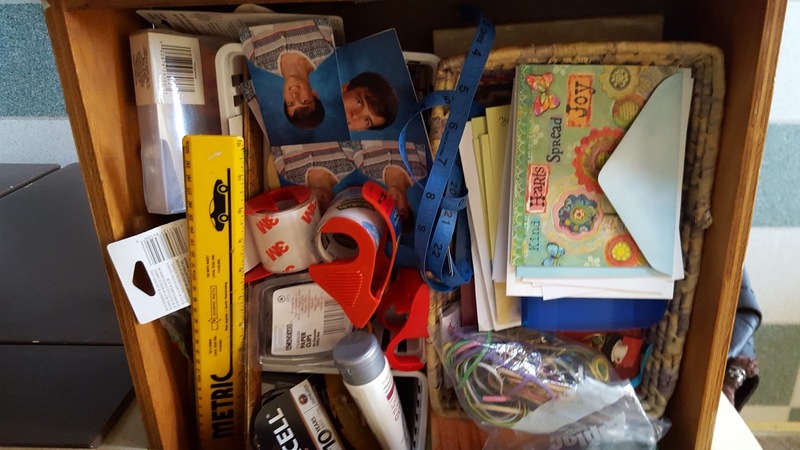 Same answer - the chaos of the Junk Drawer. 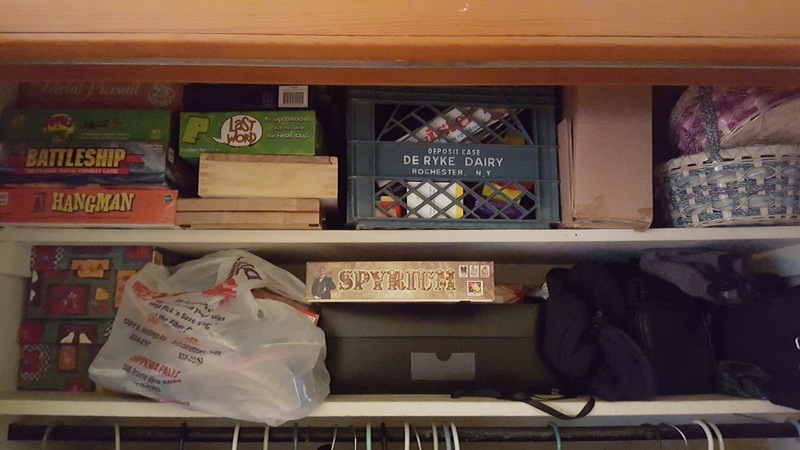 It's the closet where stuff is shoved right before company comes. Or the one where even when company doesn't come, it is still stuffed with things that have no other home. Stuff that needs to be accessible, but not exposed. 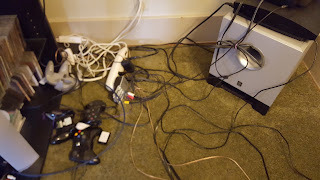 It's the cord pile from the TV, Stereo, Surround Sound, Computer, Laptop, Lamp, Power Strip, Gaming System, Phone Charger and any other electrical powered device. In our old house, outlets were placed three hundred feet apart so as to make every connection an electrical code violation. This necessitates power strips, sometime two to an outlet to enable the dangerous growth of the electrical draw to dizzying levels. It also forces you to think hard about what else is running in the house before you fire up the vacuum or the iron. Thing about these "cord piles" is I can try and organize them, even going so far as to zip-tying them by appliance groupings. But without fail, it ends up back in its native snake pit form before too long. Sigh. Little cord gremlins work at night on these things I think. Yes it's the kids' bedroom. As you go through life, you change your perception of "messy," but I think until you're about 21 or so, there is no such thing as messy - in your mind at least. What this creates when company comes is a dark hallway. 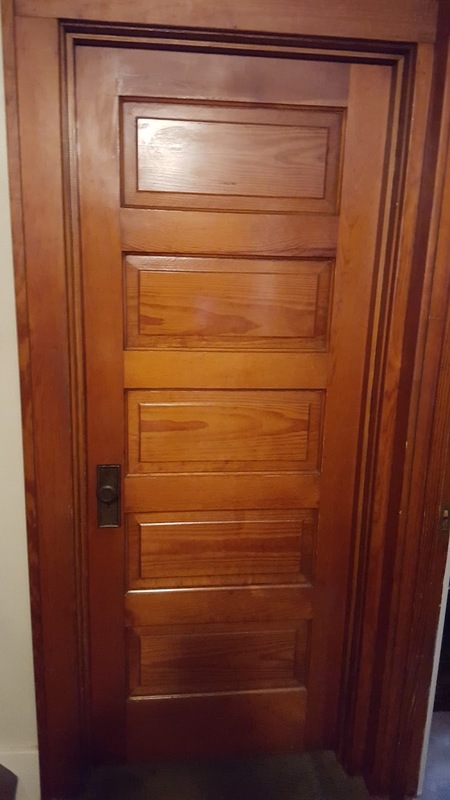 Shut all the doors, especially the kids' doors to avoid a friend calling CPS on you for the squalor that is your child's bedroom. Like the cord snake pit, you can clean it, or the kids can clean it, but you're only fooling yourself. But the truth of the matter is none of us really has it all together. (If you do, you're not my friend. Just kidding. No, not really.) Behind that meticulous living room, more often than not is a closet stuffed with intangibles, drawers chock full of doo dads and doo hickeys, and an electrical grid that would make most electricians develop an eye twitch. And if you're not among those who know what I'm talking about well, the friend thing again.